Musically, there are three things at the heart of the church; the congregation, the choir, and the organ. These three play an important part in the success of the function of the church, and need to be considered at the heart of the design. A unique factor within churches, and also some concert halls, is the organ. Organs need to be carefully considered and positioned within the design of the church to ensure they can be heard with warmth and clarity throughout the whole building. The is perhaps one of the only examples of a musical instrument being part of the fabric of the building, and a particular consideration during the design of that building. 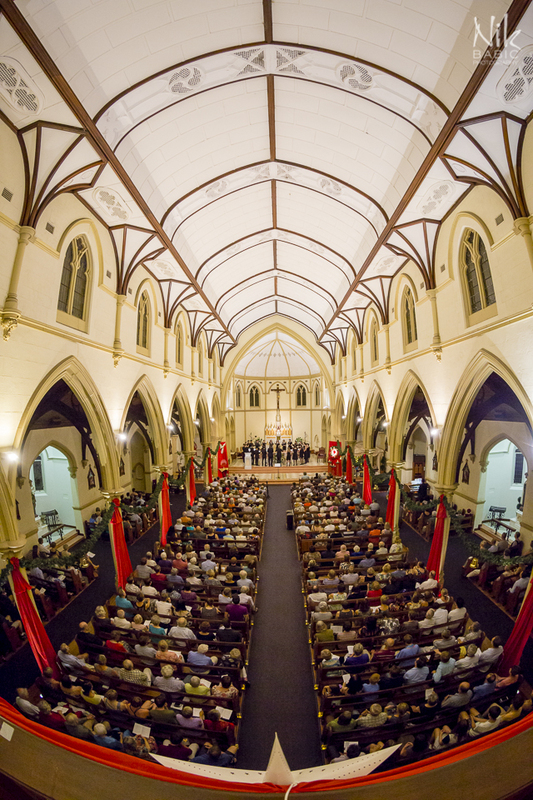 Churches are often used for musical performance, but almost always of the classical music variety. Churches, with their high ceilings and typically hard finishes, both on floors and walls, are more suited to the acoustic music of classical instruments than the amplified or electronic music of more modern instruments. As a classical musician, a harpist, I’ve had opportunity to perform in several churches, and have found the environment particularly complimentary to my music. The harp is often a hard instrument to hear in certain environments, however I find the acoustics of churches compliment the sound of the harp beautifully. “Searching for Harmony in Architecture.” Radio National. September 25, 2013. Accessed April 14, 2018. http://www.abc.net.au/radionational/programs/archived/intothemusic/4969338. Twycross, Dale. Conversation with the author. April 19, 2018. 1. Unknown. Wells Cathedral Choir. Wells Cathedral, Somerset. 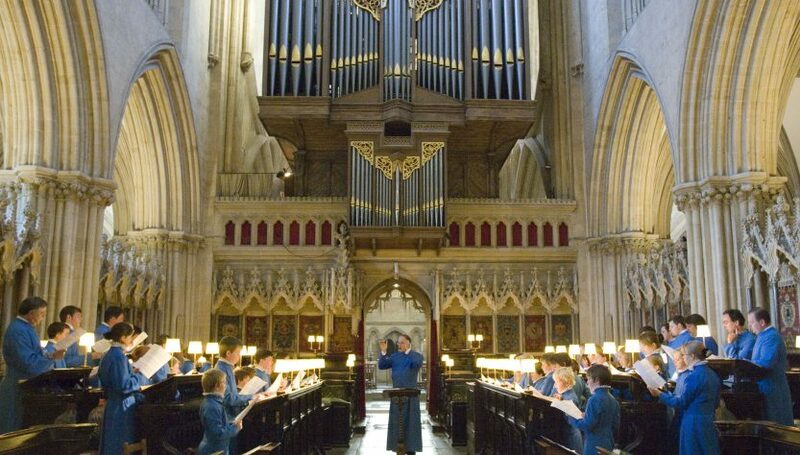 Accessed April 16, 2018. https://www.wellscathedral.org.uk/music-the-choir/music-and-the-choir/. 2. Babic, Nik. Voyces Christmas Concert. December 19, 2014. Voyces Incorporated, Perth. In Voyces. Accessed April 16, 2018. https://voyces.com.au/gallery/christmas-concert-2014/. 3. Unknown. St. George’s Cathedral Organ. St George’s Cathedral, Perth. 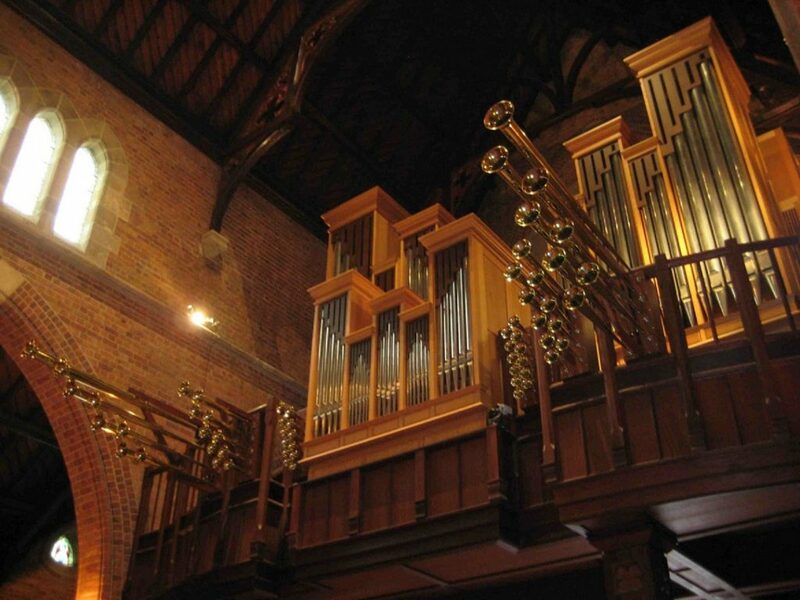 In South Island Organ Company Ltd. Accessed April 14, 2018. http://www.pipeorgans.co.nz/opus-list/147-st-georges-anglican-cathedral-perth-western-australia.html. 4. Babic, Nik. Voyces Christmas Concert. December 19, 2014. Voyces Incorporated, Perth. In Voyces. 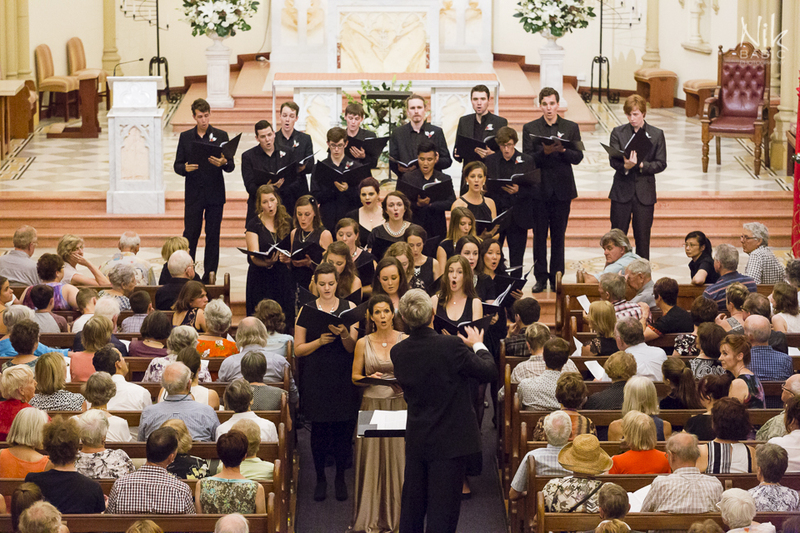 Accessed April 16, 2018. https://voyces.com.au/gallery/christmas-concert-2014/. 4. 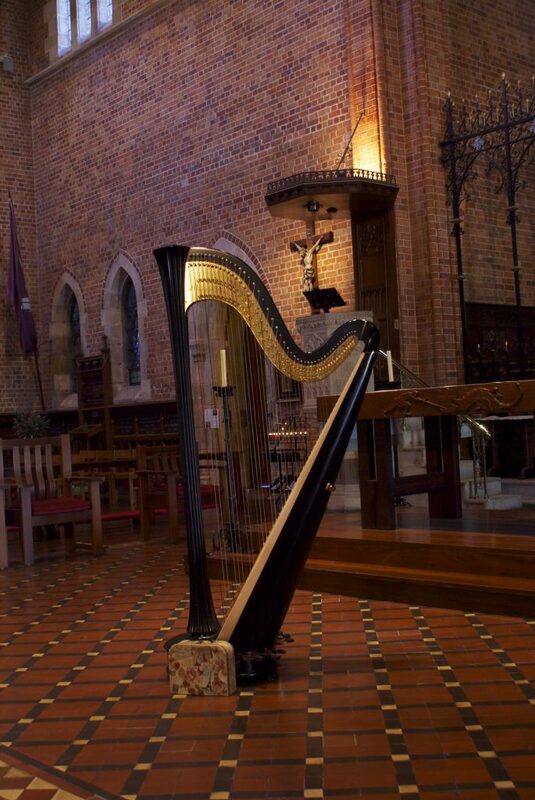 Harp, St George’s Cathedral. Caitlin Brice. 2012. Concept to completion: Does less mean more for Cathedral Square?